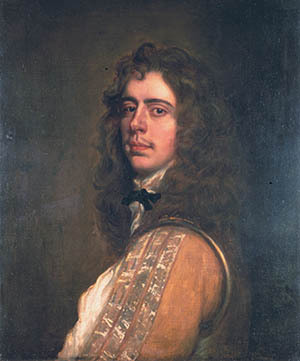 “Take the fight to the enemy” was the motto of Prince Rupert of the Rhine. His mounted force in the First English Civil War was fierce and formidable. Prince Rupert employed the Dutch System as modified by Gustavus Adolphus for his cavalry. The Dutch System dictated that cavalry engaging enemy cavalry should advance at a walk or slow trot, discharge their pistols or carbines, wheel about, and move to the rear to reload their weapons. The next line of horsemen would repeat this procedure. The movement of successive ranks firing and retiring, known as the Carocal, was designed to defeat heavily armored and lance-armed horsemen. With the disappearance of the lancer by the 1620s, the Swedish King wanted to arrive at a quicker decision and speed up the attack pace, reserving the use of firearms for the last moment. To this end he reduced the regimental line (actually a column) from 10 to three ranks. Prince Rupert modified Gustavus’s methods by ordering his troopers to form up in three lines and charge ful1-out using the sword as the main weapon in the cavalry melee. Pistols and carbines, few of which the Royalist cavalry ever possessed, and accurate at only 15 feet or less, were to be used only after the enemy horse were broken into. The rapid advance toward the enemy was designed to offset the paucity of firearms possessed by the Royalist horse soldiers compared to their Roundhead counterparts. (Mixing dismounted friendly dragoons and using matchlock muskets to support his cavalry was also a tactic employed by Prince Rupert to compensate somewhat for his men’s lack of firepower) To him the sword was the primary weapon in a cavalry-versus-cavalry fight. To reinforce this concept he encouraged his men to discharge their weapons just as they came into contact with the enemy, and for good measure to throw their pistols and carbines at their antagonists’ heads right before the clash of cavalry occurred! Prince Rupert always instilled in his officers and men the need to take the fight to the enemy. This trend gave the Royalists a psychological advantage in almost every mounted contest of the English Civil War and was an important reason the usually outnumbered and outgunned troopers of the King won most of their fights against their Parliamentary foes. Tags civil war, English Civil War, Gustavus Adolphus, Prince Rupert, Royalist, weapons.